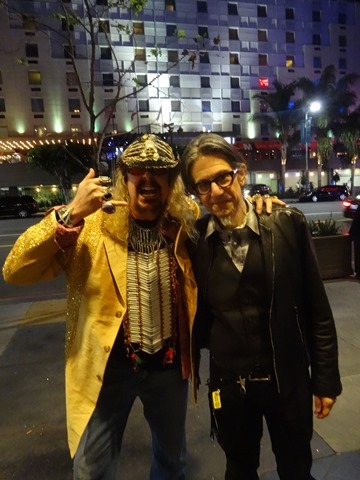 After meeting up with the inimitable Shiny Diamond (one of the best concerts buddies on the planet), we took our place in line on the second floor of the Grammy Museum just outside the Clive Davis theater and waited for the doors to open for the screening of the “SHOCK DOC” about Alice Cooper. 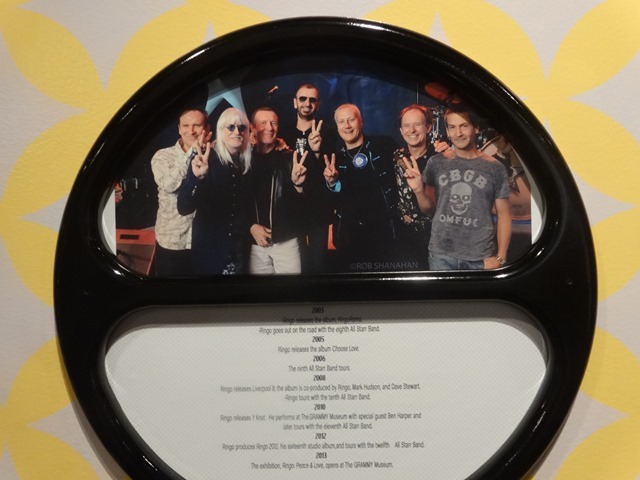 With the Ringo Starr exhibit still on display on the second floor (it’s nearing its closing date), a few people in line joined up in the vocal booth for an incredible rendition of “Yellow Submarine”. It was too funny. Once inside the theater, we grabbed seats near the front. 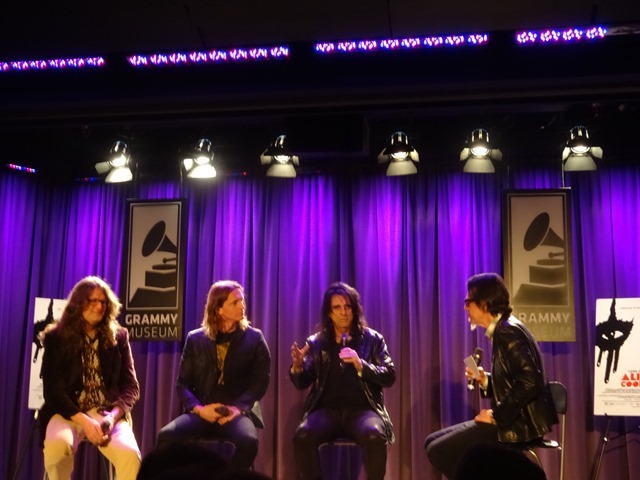 Scott Goldman from the Grammy Museum came out and introduced producers Sam Dunn and Reginald Harkema from Banger Films, who, as of late, have been making some really great rock/metal documentaries (Rush, Iron Maiden, Metal Evolution/collections of bands of related musical genres, etc.). Not knowing what to expect, the movie was a pleasant surprise. 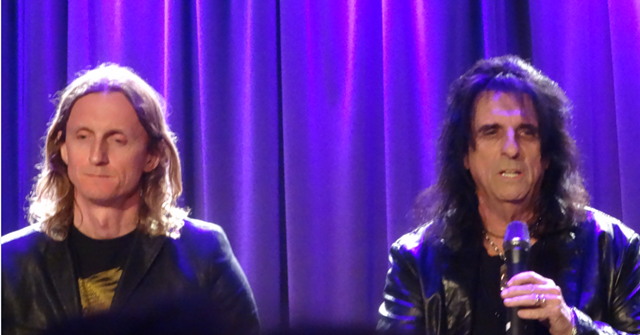 From Alice’s high school days to explaining how the “Alice Cooper” concept came about and up to becoming the master of shock rock was quite entertaining, as was the way the film incorporated the “Jeckyl and Hyde” theme in between segments , which represents the battle between Vince and Alice. 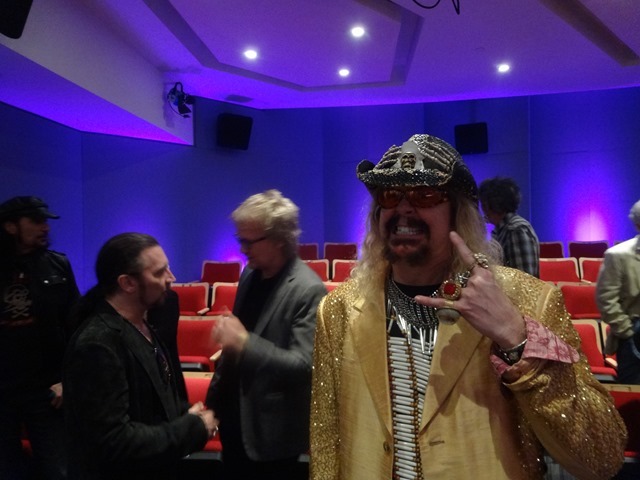 The narration of the film was fantastic (including commentary from Elton John, Iggy Pop, John Lydon, and Dee Snider) and the way that pictures worked with the story really made it come to life. 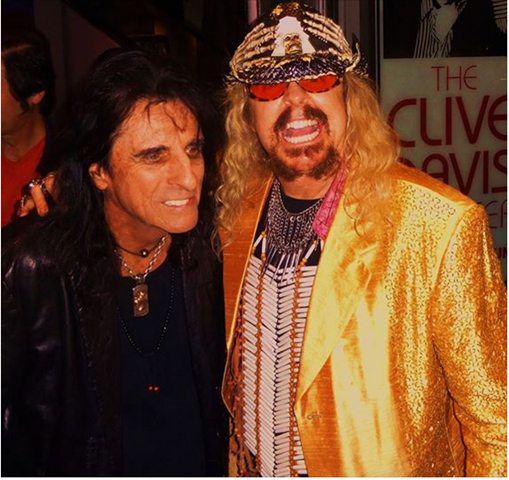 The story itself got deep, as it chronicled the alcohol and drug abuse during Alice’s career and gave a lot of insight into the man, his personal life and what he went through in playing the role of madman rock star. It was very entertaining throughout the 97 minutes. The most difficult part to watch was seeing a very drugged out Alice during an interview with Tom Snyder. It was pretty sad to see. The segments containing pictures and footage of Frank Zappa is extraordinary. In addition to the normal pictures you would expect to see, there was a lot of extremely rare footage to enjoy – some which Alice had never seen prior to the movie. The unique way the movie was edited made the pictures and scenes dance on the screen. And the stories told throughout the movie were honest and some were also very funny. 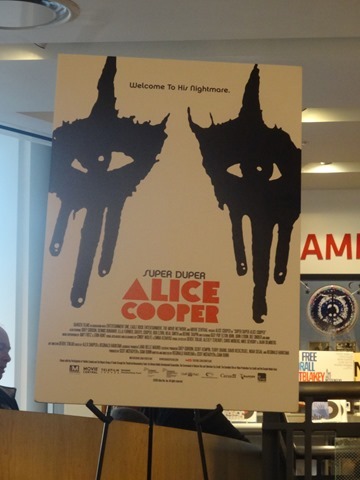 From the die-hard Alice fan that wants to relive the times in his life to the casual and soon-to-be Alice fans, this is definitely a great movie to check out and you can see the passion and hard work of the filmmakers. 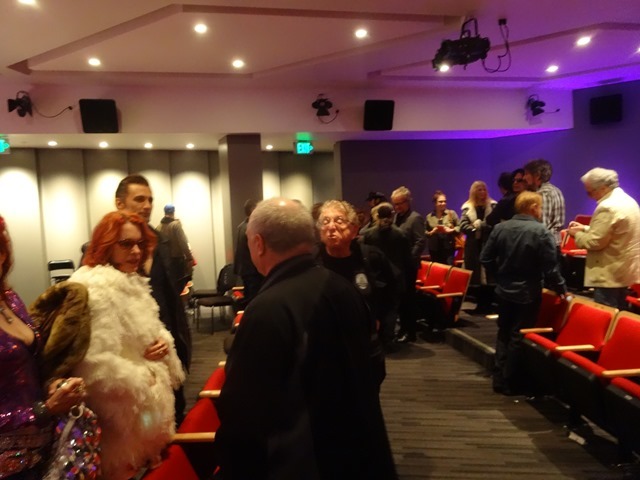 Once the movie ended, there was a Q&A moderated by Mr. Goldman with Alice answering questions from the panel and the audience. Many of the people in attendance were friends and family of Alice. 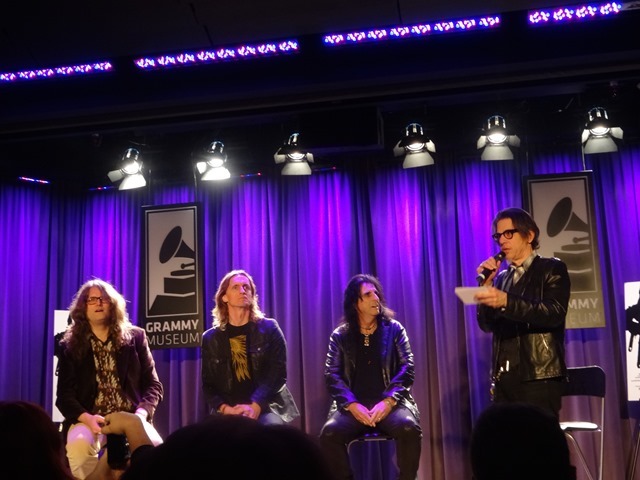 Members of KISS (Eric Singer and Bruce Kulick), Alice’s Former and current band lineup (including Kane Roberts, Orianthi and Glen Sobel), Dee Snider, some of the GTOs and other rock royalty were on all on hand to be a part of the event. 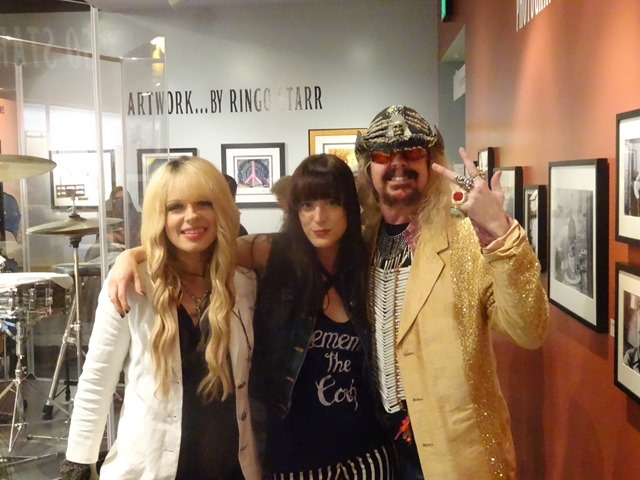 Diamond with Calico Cooper and Orianthi on the way out of the event. 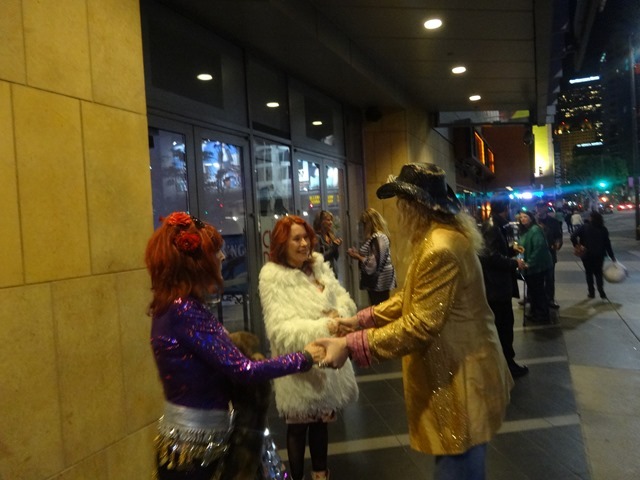 Shiny with Pamela Des Barres (I got to tell her that I LOVED her book “I’m With The Band” – it was one of my favorite reads from high school, along with The Real Frank Zappa ) and Mercury GTO. 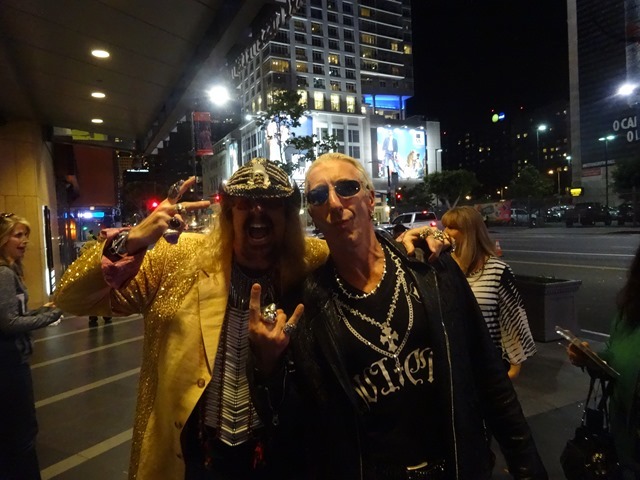 Scott Goldman from the Grammy Museum out front with Diamond. 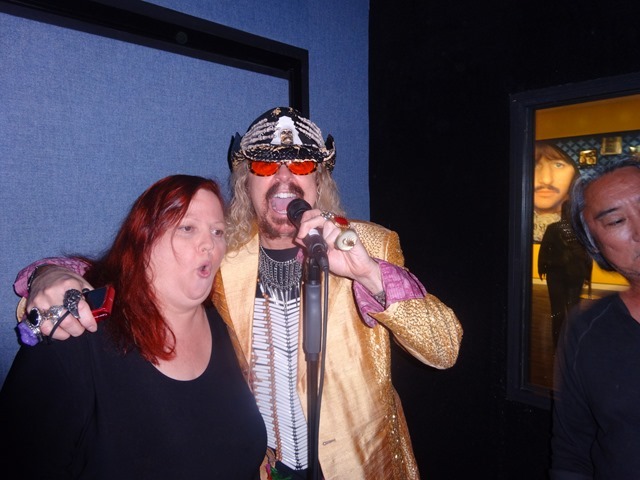 It was pretty funny that the LA Kings game was letting out at the conclusion of the show. 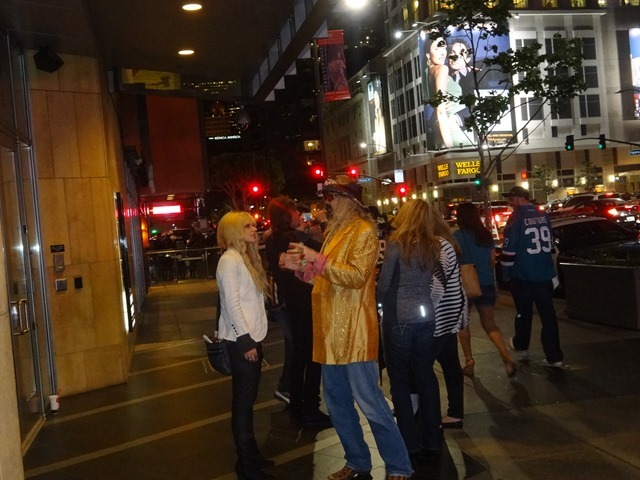 Most of the fans looked sad and were walking with their heads down, so we assumed the Kings lost. 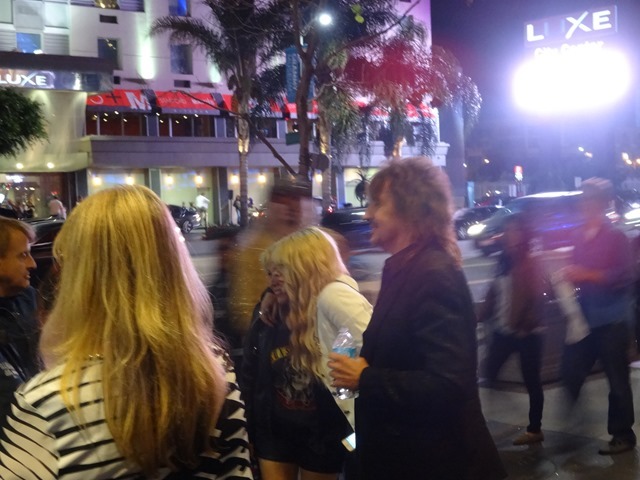 As hundreds and hundreds of hockey fans passed by and a very small number of people realized that Richie Sambora and Orianthi were just standing out in front of the museum. 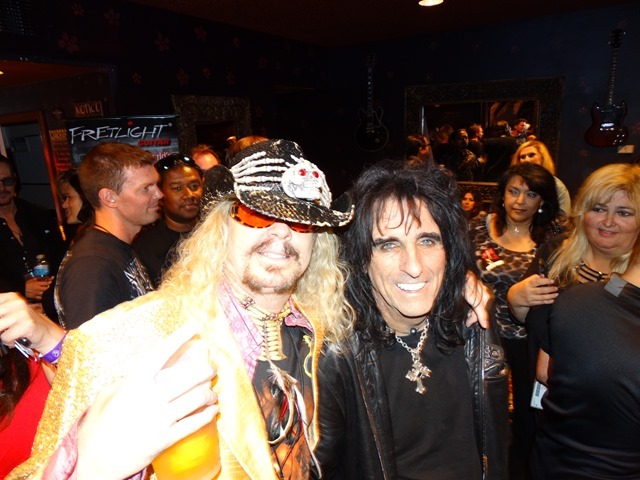 Alice barely got mobbed on his way out, either. 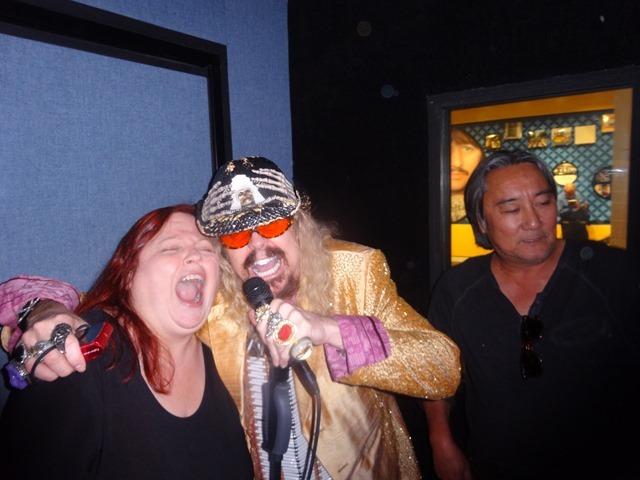 He stopped to take a picture with Diamond and he checked out the picture we took backstage at his show at the Gibson last June. Alice liked it. 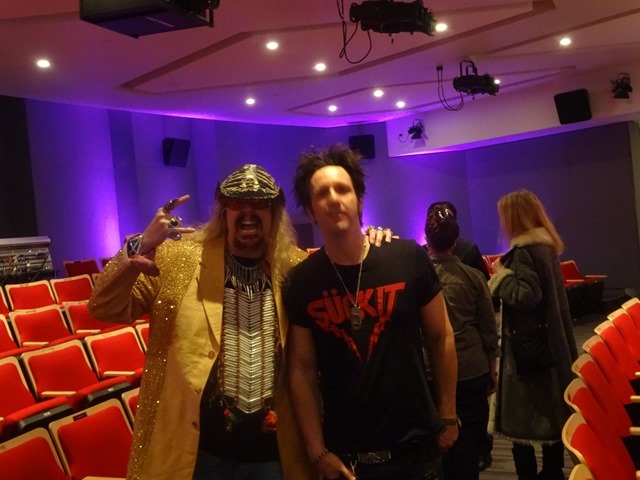 It was a lot of fun to be able to chat about the film afterwards. We got to hear some good inside scoops from Sam and Scot and see the pride and passion in what it took to make the movie. 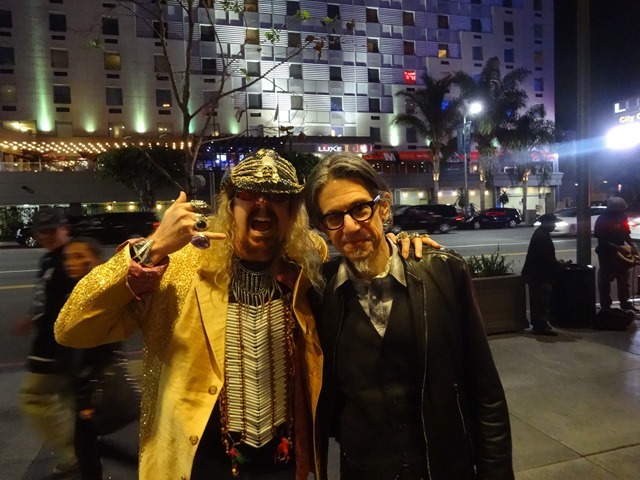 The doc is showing in Hollywood next Wednesday 4/30. Go see it if you can. (more theater dates are on the website).